“Try to talk to them about it or go get the other ball from your classroom,” his primary school teacher, Konstantina Mavlova, tells him with a smile. “But it’s deflated,” Angel protests. “Go find Mr. Horizov, he’ll inflate it for you,” Mrs. Mavlova calmly gives advice. However, the crisis isn’t over yet. The young boy comes back in less than a minute with another problem. “Georgi, let your classmates have the ball, I want you to play together, the whole class,” Konstantina raises her voice a little, but remains calm. “But, teacher, there are some older boys over there who keep getting our ball,” Angel, the self-appointed spokesperson of the mistreated first-graders, keeps complaining. “Listen, my little Angel, I am responsible for this side of the school yard, go talk to the teacher who is responsible for the other side,” Konstantina says firmly but calmly. It takes a great deal of emotional stability and patience; teachers should always be quick to meet every child’s needs and adapt to their individual learning pace. At the same time, lessons should be captivating, teachers need to know how to successfully engage students and earn their respect. For Konstantina Mavlova, however, the stakes are even higher. She is a primary school teacher at Primary School “Geo Milev” in the village of Belozem and a Teach For Bulgaria participant. 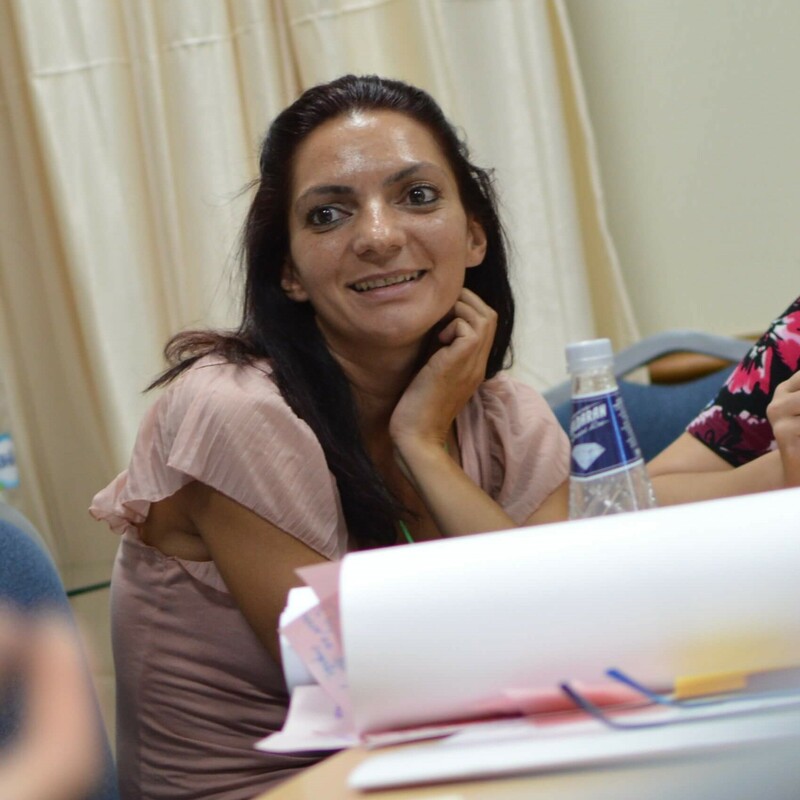 Konstantina works with students with different ethnic backgrounds who come from three different villages in the region. This school year she has the opportunity to teach first grade. Last year, however, and her very first year as a teacher, Konstantina had the challenging task to be the class teacher of the fourth-graders. She quickly discovered that she had to pay attention to every student’s learning needs and individual pace. Most children, for example, had no difficulty mastering the content, but four students lacked basic literacy skills. Even though Konstantina had no prior teaching experience, she was determined to help these students catch up. Parent and community engagement was also a priority for the teacher. She got in touch with the pastors in one of the Roma neighbourhoods in the nearby village of Shishmantsi. The pastors were quite influential in their respective congregations and insisted that all children should go to school. 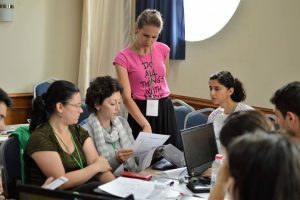 At the beginning of her second year as a teacher Konstantina made a schedule for open door days at school with the idea to invite parents to come to class and learn more about their children’s work and achievements. “I want them to see how I communicate with their children in a constructive and non-violent way, I don’t want to find out that my students have been yelled at or beaten at home after I’ve talked to their parents about behavioral or academic issues,” Konstantina shared. The teacher is energetic and strict in class. She uses a variety of teaching methods – children sometimes work in groups or individually; students who complete their assignments faster can go help their classmates. Konstantina makes sure her students know the difference between “helping” and doing somebody else’s work for them, as well as which one is allowed in class. “Things don’t get easier when you’re angry,” she tells her short-tempered students. Konstantina collects feedback from her students after each class and asks them if there is something they would change. She takes the time to explain how important it is for all children to respect each other and her as their teacher. Despite the challenging work environment, Konstantina says she loves her students and feels honored to work with such dedicated fellow teachers at the school. “I feel so lucky to teach at such a wonderful school. As difficult as it may sometimes be. “There are children who have no idea there is a whole world outside of Belozem. In order for us to take them on a school trip, however, we need to fill out heaps of documents and get all sorts of permits, including from the police,” the teacher says. If the procedures were made easier and more user-friendly and if teachers were a little more enthusiastic about taking their students to museums, on hikes, or to see theater performances, children’s horizons would broaden a lot. But all challenges of teaching in a small village go hand in hand with many joyful moments. “Talking to children seems easier because they are not constantly on their phones. It is much easier to get in touch with students’ friends and families in a small village. It is much easier for me to share good news about my students with their parents. You can get so much more done here, if you set your mind to it, but if you want to get good results, you have to work really hard… just like anywhere else, I suppose,” Konstantina says laughing. Konstantina is convinced that all children should have equal access to opportunities for development and not just those who live and go to school in Sofia. She, herself, is originally from Sofia, moved to Stara Zagora when she got married, and commutes to Belozem every day to teach. “I feel like the expectations here are lower, even in the more selective schools in a relatively big town such as Stara Zagora, where my son goes go school,” Konstantina says. “It may sound selfish, but it’s true – I chose to live away from the big city, but it doesn’t mean that I will allow for my child to have access to fewer opportunities for development than my sister’s children in Sofia. It is not fair,” Konstantina concludes. Actually, Konstantina has a bachelor’s in Communications and Computer Technology. Prior to becoming a teacher she has worked in HR and tech support. 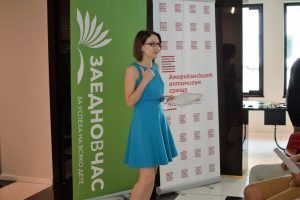 She is currently enrolled in Plovdiv University’s innovative master’s program for primary school teachers which is part of Teach For Bulgaria’s program. Konstantina lives in Stara Zagora and commutes to Belozem every day. Her previous job in HR was one of the main reasons which motivated her to change careers and look for opportunities in education. “It all started during my previous job as an HR expert when I was looking to hire people for different roles. I met so many functionally illiterate adults, people who could not talk about their professional experience or summarize it in a CV, and professionals who had not idea what they were looking for or what they wanted to do. This shocked me,” Konstantina shares. A year and a few months later, solving conflicts in the schoolyard of Primary School “Geo Milev” in Belozem, she seems to have found her calling. © 2018 - Teach for Bulgaria. All rights reserved.